For referrals from other physicians, please fill out the form below. 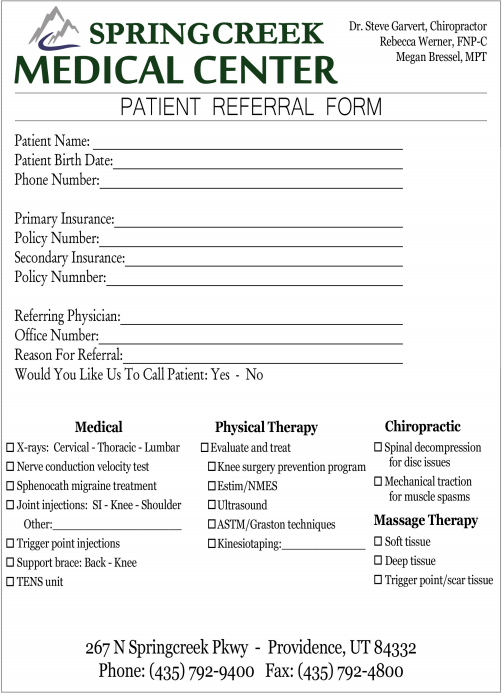 By filling out the form prior to your visit, you can save time by not having to deal with paperwork before seeing our chiropractor or one of our other physicians.You can download the form and then print it out by clicking on the image or the link below. If you have any questions about the form, please feel free to give us a call at (435) 792-9400.